In this course you will learn how to use proofing tools, share and collaborate on notebooks, and work with notebook versions. In this course you will learn how to use tags and symbols, add handwritten text to a note, and use OneNotes highlighting tools. In this course you will learn how to use formatting tools, and add images, tables, and other elements to a notebook. 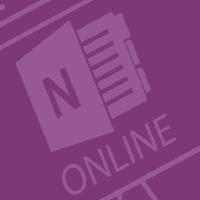 In this course you will learn how to get started with OneNote Online, set up a notebook, manage pages and sections, and print and view notebooks. At the end of this course, you will be able to define the marketing objectives of your webinar, create an attendee avatar to connect with your target audience, create and use a lead magnet, develop a promotion strategy, explore the potential of a joint venture, and create a webinar marketing calendar. In this course you will learn how to get started with PowerPoint Online, create, edit, and view presentations, and get help in PowerPoint Online. In this course you will learn how to build a presentation, edit text and objects, and format text and paragraphs. In this course you will learn how to insert graphics, modify and format objects, and adjust image appearance. In this one-day course, you will learn how to: identify the growth hacking mindset, recognize the differences between growth hacking and marketing, identify the customer need your business can fill, create and implement product placement and services to fit the need, learn and practice techniques of growth hacking, review and practice growth marketing strategies, identify the essentials of conversion and optimization, and create your own growth hacking plan. After completion of this course, you should understand the definition of collaboration, what it takes to work collaboratively with your colleagues and the advantages of collaboration. Obstacles to collaboration will be explored, and how to develop strategies to improve a collaborative work environment. As well, you will know the six steps to make collaboration work, and the difference between collaboration, cooperation and teamwork. Copyright iSolve Business Solutions 2018. All Rights Reserved.